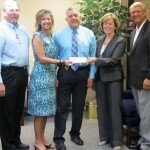 The Sabine Neches Chiefs’ Association donated $5,200 to the Lamar Institute of Technology on Tuesday. 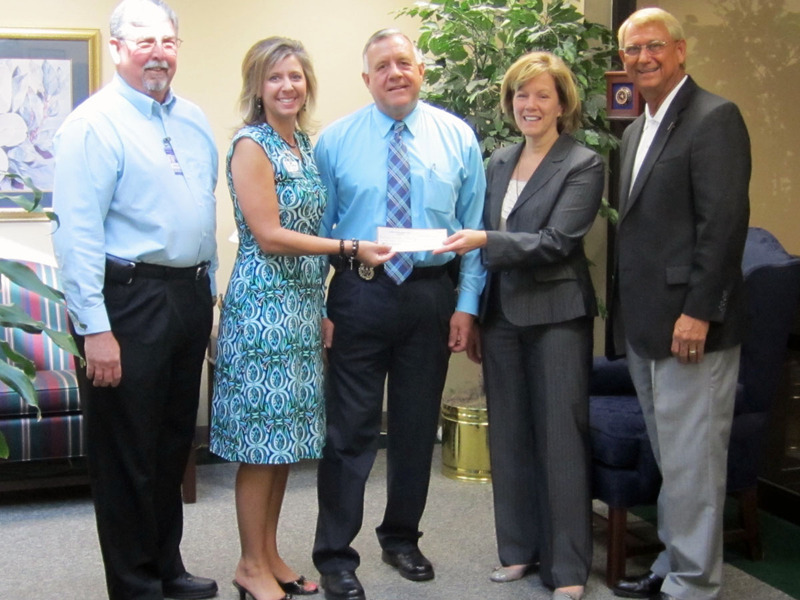 Beaumont – Port Arthur Police Department Deputy Chief John Owens, SNCA president, and Stephanie Valka-Garsea of Acadian Ambulance Service presented the check to Joanne Brown, Director of the LIT Foundation. The money was from the proceeds of SNCA’s 8th annual golf tournament, held April 18, 2011, and will go toward scholarships for LIT students studying in the Department of Public Service and Safety. The Sabine Neches Chiefs’ Association is the nation`s oldest organized mutual-aid association, and was organized in 1947.